June 23rd is fast approaching as Great Britain heads into a national vote that could result in the nation’s departure from the European Union. What lies ahead is conjecture, but Britain’s departure from the EU would undoubtedly open up a new debate for corporate occupiers and investors as they assess the impact on corporate real estate and capital markets. For the moment, it’s a hypothetical question. Will the majority of investors, who view the exit from the Union to be risky and potentially costly, find ways to continue operating in Britain post EU membership, or will companies look to relocate to cities within the Union in order to take advantage of established trade benefits and other advantages associated with a single European free-trade market? One thing is for sure, uncertainty causes markets to stall, and we have seen this trend recently in the lead up to the British General Election. An exit from the Union would see a series of shapeshifting occur before any long-term cause and effects can be written in stone. However, would Brexit have an impact on property markets? It is fair to conclude that it would. For occupiers, this could mean lower pricing as the demand for property in Britain has the potential to slow down in response to the exit. This could also negatively impact construction, development, and property values for landlords. In-bound investment is also at risk and this represents significant concerns for investors in the long term. In the wake of an exit, investors will quickly begin to weigh the value of relocation to the European continent, in turn leading to a potential reduction in available jobs in Britain. Conversely, pro-exit market analysts project that an exit will lead to stronger trade options for Britain and leave the country with a reduced financial commitment to the Union, leaving Britain with funds to invest domestically in research and development, and expand representation in global functions independent of the Union. Any major development or shift in the way countries trade will have a catalytic effect on regional economies that extends to global markets and the uncertainty of Britain’s potential exit from the European Union certainly has the attention of investors around the globe. 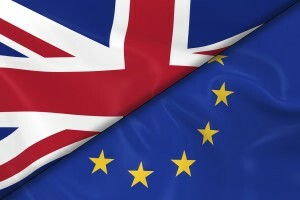 According to a February 2016 survey of 191 investment clients, conducted by CBRE, close to 75% of domestic and international investors surveyed are standing firm in support for Britain to remain in the European Union. The question really is, will Britain retain its appeal as an inbound investment location should the referendum result in an exit from the Union? What impact would Brexit have on your company’s corporate real estate strategy plans?